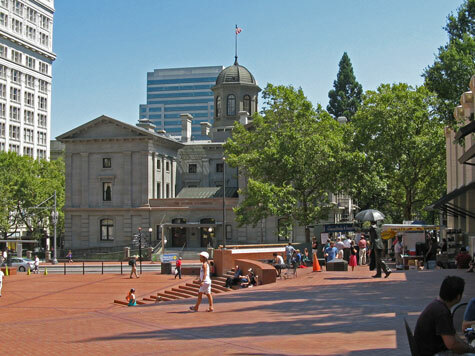 City landmarks in Portland include the Fox Tower, Keller Auditorium, Pioneer Square and the City Hall. Other popular attractions are the Japanese Gardens, Oregon Zoo, Rose Garden and several museums. Excellent hotel accommodation can be found in downtown Portland, near the airport and at the ocean beaches. Public transit in Portland is comprised of city buses, an aerial tram and the MAX light rail system.